The new max level in World of Warcraft has been hit in a record time. 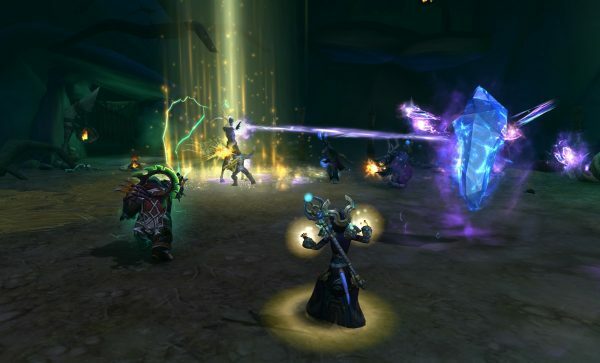 With every new World of Warcraft expansion, comes an increase to the game’s level cap. Legion, the expansion which went live this week, brought the the cap up to level 110. Twitch streamer Fragnance managed to reach this cap in just five hours and 28 minutes. He did it using his demon hunter character with help from another player. Fragnance didn’t get all the way from zero to 110, of course, as demon hunters start at 98, but it’s still quite the achievement in such as short time. In order to pull off this impressive feat, the player spent a lot of the time during the beta learning the quickest ways to clear up quests, and the fastest routes. He managed to reach the cap on his launchday stream. You can even watch an archive of his previous streams, to see plans for this speedrun as they were being formed. World of Warcraft: Legion is now available on PC and Mac.